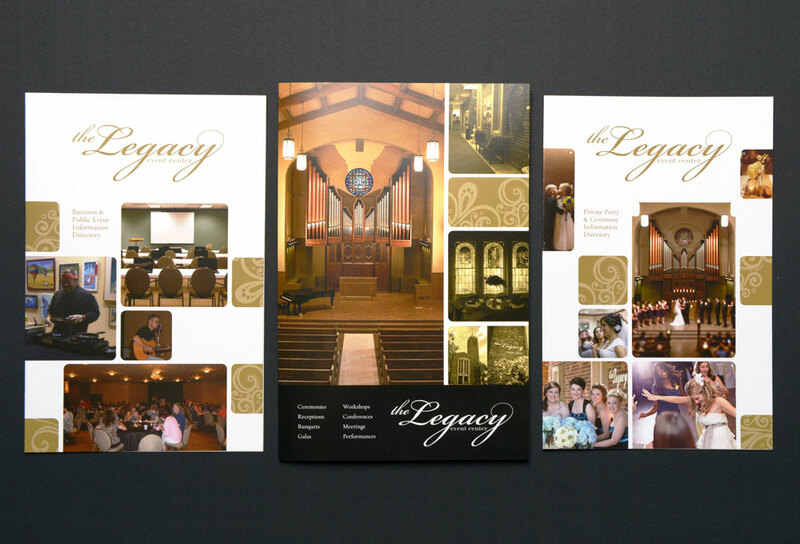 The historic Legacy Event Center needed new materials promoting their facility for wedding and event rentals. 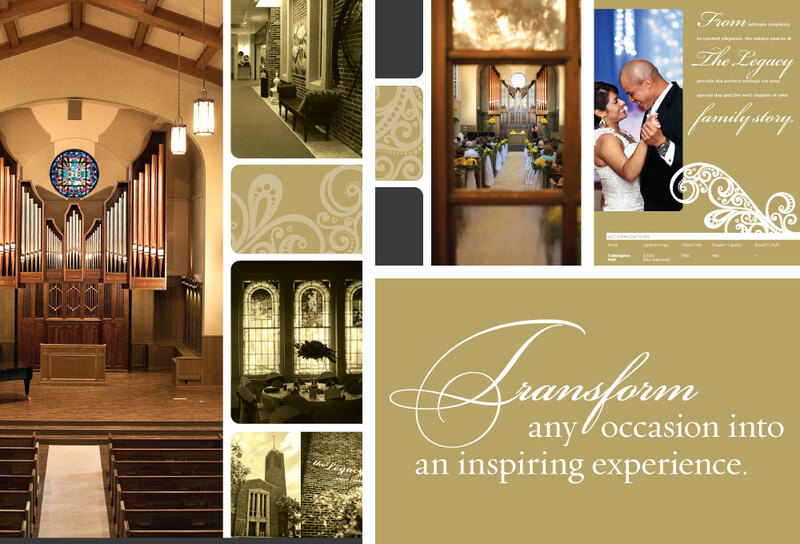 The design of these new items portrays the elegance of the Legacy and the varied options that it provides. 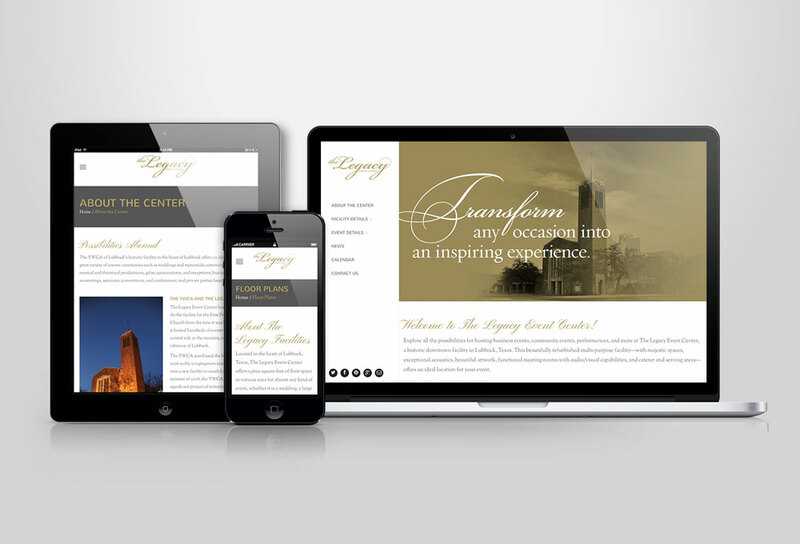 The website was designed to highlight the spaces the Legacy Event Center has available and to serve as a resource for event organizers.